World leaders gathered today in Paris for COP21, a UN summit aimed at reaching a new international climate deal that can avert the worst effects of global warming. French President François Hollande opened the 21st annual Conference of Parties (COP21) summit by stating that the “future of the planet, the future of life” was at stake. “The challenge of an international meeting has never been so great,” Hollande said. Delegates and leaders from 195 countries – along with members from scientific groups, the private sector, indigenous leaders, environmental activists and labour groups – will attend the important UN climate change conference that will take place between November 30 and December 11. Although, the heads of state will only be present during the beginning of the summit. During these crucial days the delegates will work towards a new international climate change agreement that can replace the Kyoto protocol, which is the world’s only legally binding climate change agreement. The Kyoto protocol initially only covered rich and developed countries who are required to cut emissions by 2020 when the treaty expires. The protocol now covers only a handful of countries, including Australia and the member states of the European Union. The United States signed but never ratified the Kyoto protocol. It’s therefore crucial that a new global climate treaty, and one which includes all nations such as China which is currently the world’s biggest polluter, is reached and agreed on in Paris. The delegates will try to reach a deal that will limit global warming to safe levels, i.e. 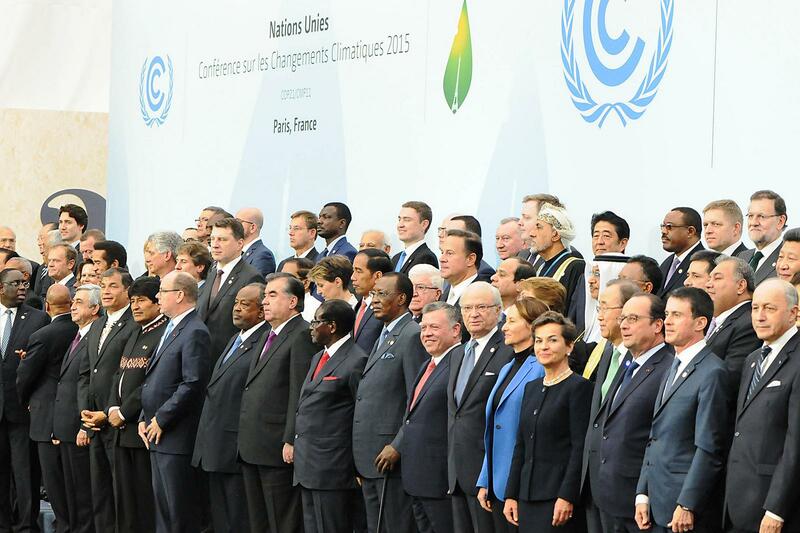 the 2-degrees Celsius target that world leaders have endorsed. In order to keep global temperatures below 2-degrees Celsius, substantial cuts in greenhouse gas emissions are needed. If no action is taken and no agreement is reached at the Paris summit, the UN has said that the world will be on track for a +3 degrees increase in global temperatures. Scientists are warning that we are already halfway to that critical point as the world has already warmed 1 degree Celsius compared to pre–Industrial Revolution temperatures. But the truth is that the 2-degrees target is not really a safe level and scientists and environmental groups – as well as several heads of state – are calling for emission reductions that will stop global temperatures to increase beyond 1.5 degrees Celsius. Countries most at risk from climate change, such as several island states and poorer developing countries, want to see a more ambitious climate agreement. But the likelihood that the rich and developed nations will agree to such reductions are highly unlikely. This question, about developed nations obligations and their historic responsibility, along with the question of economic assistance to developing nations will surely – and yet again – cause a rift between the delegates at the climate summit. Speaking at the opening ceremony today in Paris, President Barack Obama said that the US recognised its responsibility to help limit global warming. “As the leader of the world's largest economy and the second largest emitter […] the United States of America not only recognizes our role in creating this problem, we embrace our responsibility to do something about it,” Obama said. Similar speeches from world leaders could be heard during the 2009 climate change conference in Copenhagen – and that summit ended in a failure. But things are different this time around. More nations are now feeling the effects of global warming, the science on climate is clear and on point, and renewable energy technologies are improving while their costs are drastically decreasing. And this time around, the world’s two biggest greenhouse gas emitters, China and the US, are both supportive of a new climate deal. But there are still several worrying obstacles ahead. While China may be more positive of a climate change agreement this time around, the commitment from India, the world’s third biggest emitter, remains uncertain. The US and EU also has different stances on how much of the new climate agreement should be legally binding – Obama and the US government are pushing for less as a legally binding treaty would be difficult to pass in the US Senate. So far, more than 170 nations – representing 97 percent of the world’s total emissions – have submitted climate pledges to the UN ahead of the climate summit in Paris. But those pledges are currently too weak and will, according to analyses, result in a 2.7 to 3.3-degrees Celsius increase in global temperatures. Despite all of this the hopes and expectations are high on the Paris climate summit to make substantial progress in the fight against climate change. And hopefully it won’t end in a whimper this time, as it did in Copenhagen back in 2009. From the vantage point of a few days out, the Paris climate summit looks set for success - at least by the metrics we've learned to use for these types of meetings. The main target for COP21, which is set to open on November 30, is to garner solid commitments aimed at reducing greenhouse gas emissions and setting a strict bar to keep global warming from passing the 2°C mark. At first glance, this sounds a lot like the goals of previous climate meetings that ended up going nowhere. The 2009 Copenhagen meeting of 115 world leaders, for instance, was at first seen as a big opportunity to reverse climate change. Even before it ended though, the summit was widely panned as a failure. Most of its major goals for reducing CO2 emissions had to be dropped before a final communiqué could even be signed. But Paris could be different. For the first time, leaders from the advanced capitalist countries and those of the emerging economies seem to be on the same page when it comes to the urgency of slowing climate change. Governments are declaring - in advance - their commitment to legally-binding targets and timelines for emissions reduction. That's a real advance compared to previous climate talks where there were only vague recognitions of climate change and pledges to do more. If governments stick to their commitments and follow through with real reductions, then Paris will be worth marking down as progress. So why are things shaping up so differently for COP21? A number of major political and economic developments portend a significant shift from what happened at Copenhagen. After several years of wavering, President Obama forcefully rejected the Keystone XL pipeline in early November. By shutting down the plan to build a 1,700 mile pipeline to pump Canadian tar sands oil from Alberta down to Texas Gulf coast refineries, Obama helped set the stage for the discussions that will take place at COP21. On the day of his decision, Obama declared, "If we're going to prevent large parts of this earth from becoming not only inhospitable but uninhabitable in our lifetimes, we're going to have to keep some fossil fuels in the ground." He continued, "America is now a global leader when it comes to taking serious action on climate change...approving that project would have undercut that global leadership, and that is the biggest risk we face: not acting." Secretary of State John Kerry's comments at the time made it even clearer that the Administration had the upcoming Paris summit on its mind when making the decision. "The United States cannot ask other nations to make tough choices to address climate change if we are unwilling to make them ourselves," he said. 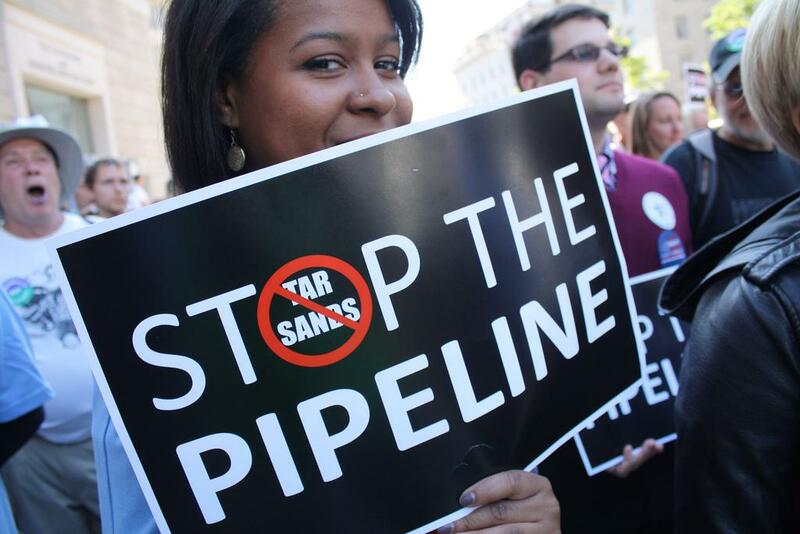 "Denying the Keystone XL pipeline is one of those tough choices." The symbolic importance of Keystone should not be underestimated. Stopping the pipeline was the biggest victory that the environmental movement has achieved in the U.S. in many years. It was proof that organized action could have an impact on policy debates. But even more than that, it has sent the most powerful signal possible to other governments that America takes climate change seriously and is prepared to act. By pulling the plug on a pipeline that would have carried some of the world's dirtiest oil to market, Obama demonstrated that the U.S. is willing to be a serious partner in international efforts to tackle global warming. Presidential candidates Bernie Sanders and Hillary Clinton have both praised the President's decision. Political developments in Canada have also contributed to a changed atmosphere for the Paris talks. The new prime minister, Justin Trudeau, was sworn in just days before Obama announced his decision. Though ostensibly a supporter of the Keystone pipeline, Trudeau was publicly against his predecessor Stephen Harper's aggressive lobbying on behalf of the TransCanada Corporation that planned to build it. Trudeau put up no real resistance to Obama's decision. After Harper's loss, the changing of the guard in Canada has been swift. Trudeau moved the environment portfolio out of the Ministry of Natural Resources, which under Harper had prioritized tar sands exploration. Instead, he created a new Ministry of the Environment and Climate Change. The new foreign minister, Stephane Dion, previously led the Liberal Party on a "Green Shift" platform in 2008 and recently declared that climate change is the "worst threat we are facing this century." The scuttling of Keystone has also gone a long way, especially among developing countries, to begin reversing the image of the U.S. as one who preaches but does not practice. It was preceded by the historic U.S.-China clean energy agreement last year, in which both countries agreed to move toward more renewables. The fact that the world's two biggest polluters have already hammered out an understanding before they arrive in Paris bodes well for a positive outcome. China has long argued that the U.S. had its industrialization heyday and yet continues to produce more emissions per capita than any other nation. The new trend of cooperation between Obama and President Xi signals that the U.S. may be recognizing Chinese criticisms. Taking on the role of leader among developing economies, China has set a target of 20percent clean energy by 2030 and announced a few weeks back that it was implementing a national cap and trade carbon market beginning in 2017. In Britain, meanwhile, the Conservative government of David Cameron has declared its intention to shut down its last coal-fired power plants by 2025. The country which pioneered the fossil-fueled Industrial Revolution of early capitalism is now on board with the changing international climate discussion. Where is the credit due for the major turnarounds on the climate issue by these leading governments? 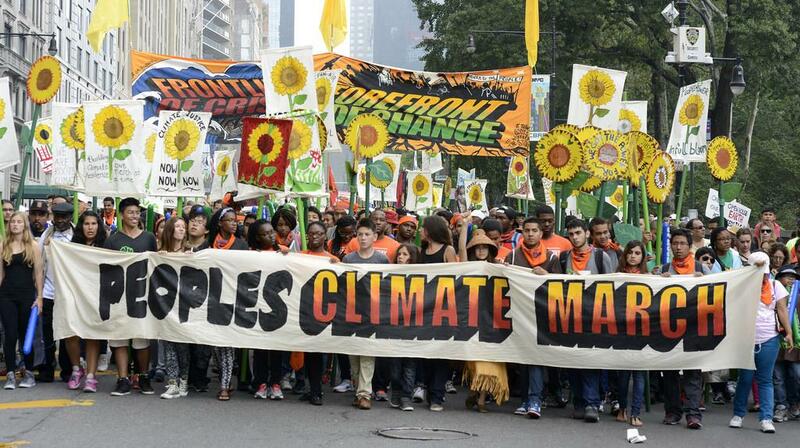 Recognition first of all goes out to the environmental and labor movements who have come together to push for stronger climate policies, as well as to the activists and governments of poor and developing countries who are already feeling the effects of climate change. It is also necessary, however, to look at how divisions among the major energy companies are producing cracks in the coalition opposed to climate action. At a gathering of the world's top oil executives - the OPEC International Energy Seminar - in Vienna earlier this summer, major divisions over how to respond to COP21 and the growing commitment to environmental action were revealed. While world oil prices are down over the last several months, no one believes that oil and coal will not continue to be major parts of the world's energy mix. This means that although the market outlook for producers of the dirtiest oil, like TransCanada, may be dimming, all the companies agreed that they will of course continue to invest heavily in their respective sectors. Where the façade of unity begins to break down, however, is on the issue of long-term prospects. The major European oil companies - Royal Dutch Shell, BP, Total, Eni, BG Group, and Statoil - released a joint statement at the meeting calling for the development of a global carbon pricing system. The CEO of Shell, Ben van Beurden, told the meeting that the global energy system is experiencing "a transition from the traditional model based on oil and coal to a progressively cleaner, less carbon-intensive model." With an eye toward long-term profitability and market opportunity, these companies are already beginning to think about a post-fossil fuel future. The head of Exxon Mobil, Rex Tillerson, took a completely opposite stance. In a strongly-worded warning to his fellow executives, Tillerson said that carbon pricing would destroy economic growth. He declared, "It is very important for governments that make those choices to live with the economic consequences." The imperatives of the short-term thinking inherent to the obsession with quarterly reports and shareholder returns seem to be motivating Exxon Mobil's perspective. The model of a carbon pricing market being debated by these oil executives is a complicated one that has all kinds of shortcomings of its own, not least of which is its in-built inequalities for developing and developed economies. This is not the most important thing to take note of at the OPEC Executives conference though. The most important thing to pay attention to is the fact that big oil is divided and this leaves an opening for progressives to pressure their governments. It has been said that powerful enemies can be vanquished, but only by the most "thorough, careful, attentive, skillful, and obligatory use" of any, even the smallest, of rifts among that enemy. These divisions among big oil are ones that need further attention and study. While there is reason to be optimistic about the Paris summit, it will not be smooth sailing. The recent terrorist attacks in the French capital have greatly altered the terrain in which the talks will take place. The recent downing of a Russian military plane by Turkish forces further threatens to overshadow the environmental focus that governments had earlier put so much of their efforts into. The heavy focus on security also means that the atmosphere surrounding the conference will probably be very different than anticipated. The dynamics of debate outside of the meeting hall look to be radically changed as French President Francois Hollande has banned demonstrations and public protests by environmental groups. How this will affect the wide range of civil society parallel conferences and events that were planned to take place alongside COP21 is uncertain. It could mean that only the voices of governments and the most well-funded green groups will be heard. That is why it's all the more important to have progressive news coverage and analysis from on the ground in Paris. Back here in the U.S., meanwhile, Republicans in the Senate are doing all they can to sabotage the Paris talks before they even begin. On November 24, they passed two resolutions aimed at blocking EPA regulations that would impose stricter emissions targets on power plants. The President will certainly veto the resolutions, but the main political goal is to undermine Obama at the Paris talks. The Republican plan is to make it look like Obama will be unable to carry through his pledges. West Virginia GOP Senator Shelly Moore Capito admitted as much when she said foreign diplomats "will take away a message from this vote...the general support for the direction he's going is weak at best." Many of the major oil companies, like Exxon Mobil and TransCanada, will also certainly be on the job the morning after the summit concludes to try to water down and derail any commitments that threaten their profits and investment plans. Lobbyists in Washington, Ottawa, and many other capitals will be hard at work to put a check on the drive to halt climate change. COP21 has the potential to be big. Just like the lobbyists of big oil will be doing though, progressive activists and the climate justice movement will have to roll up their sleeves and get down to work if they want to make the pledges of Paris a reality. The revelation that Volkswagen deliberately circumvented emissions tests on many of its diesel vehicles has provoked a huge storm of controversy. This diesel deception has understandably angered car owners. And some have suggested that VW’s management either must have known about the scandal, or effectively lost control of the company. The allegations are severe. According to the Environmental Protection Agency, VW deployed a “defeat device” enabling its cars to meet emissions standards under official test conditions, even though they can release up to 40 times the legal level of nitrogen oxides (NOx) under normal driving conditions. Worse was to come though. VW went on to admit that 11m vehicles worldwide had been fitted with the device. An analysis by the Guardian puts the collective impact of this number of cars at nearly one million additional tonnes of air pollution per year. In the EU, it increasingly seems that there is more to this scandal than car manufacturers using underhand tactics to “hotwire” official emissions tests. Leaked documents have revealed that three powerful member states – the UK, France and Germany – have all recently lobbied for the inclusion of loopholes in a new emissions test planned for roll-out in 2017. Germany, it seems, even called for this new test to be conducted on a sloping downhill track. In Brussels itself, my own conversations with EU officials have exposed a tendency to accept carmakers’ behaviour as an unavoidable part of the regulatory “game”. On more than one occasion I have heard the argument that what vehicle manufacturers are doing can’t really be classed as cheating, because – after all – wouldn’t any rational economic actor seek to “exploit the flexibilities” in this kind of regulatory test to their advantage? All of this should give us serious pause for thought. Circumventing an emissions test is one thing. But if member states are actively calling for Brussels to enable the continuation of this behaviour, and EU officials themselves see it as a natural part of the “game”, then we must ask who – if anybody – is left to represent the interests of the public, or indeed the climate, in the development of the EU’s environmental agenda. The scandal in fact reveals deep-seated pathologies in the way the EU’s environmental policies are made. 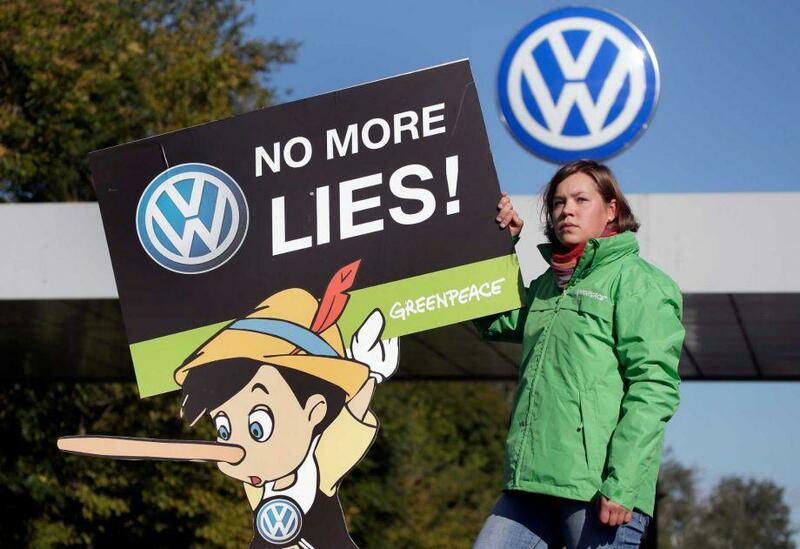 It is, crucially, the EU’s privileging of “expert”, industry-generated data on these emissions, produced by a supposedly objective, repeatable test, that has allowed VW to deceive its customers and the wider public. Yet these are the same industry experts who stifle debate about the sustainability of petrol and diesel carmakers’ contributions to the EU’s economy. This, even as Europe faces growing crises of urban air pollution, obesity, and of course climate change. Meanwhile, on-the-road emissions data, such as that painstakingly assembled by the International Council on Clean Transportation, is all too often dismissed as unscientific, and open to the corrupting influences of a messy and complex “real world”. These data are effectively crowdsourced from thousands of drivers and other road users, many with an economic interest in averting the depreciation of their vehicles. And it is these road users – and the wider public at large – who have no choice but to subject themselves to urban air pollution across Europe. According to a recent Transport & Environment report, this “invisible killer” leads to 500,000 premature deaths a year. And diesel vehicles are the principal cause of those deaths. VW’s diesel deception doesn’t just point to an urgent need for a better vehicle emissions test; it highlights the requirement for a more open and inclusive approach to dealing with environmental problems in Europe. As the EU seeks to address and move on from this scandal, Brussels must break the stranglehold exerted over its vehicle pollutant emissions legislation by an inner circle of hubristic industry experts. Instead, it must embrace the ideas, concerns and knowledge of those who most suffer in the face of air pollution – the European public. As the country continues to endure the effects of climate change, wildfires are hardly a new phenomenon on the West Coast. For drought-ridden California, however, the blazes have now caused massive destruction and at least one death. And with 700,000 acres burned so far this year, there's no end in sight for the inferno. For firefighters and victims, the numbers behind the blazes represent an uphill battle. The largest of the disasters are the Valley fire and the Butte fire, which have burned 67,000 and 71,660 acres, respectively. The former is 15 percent contained, the latter 37 percent, and at least 23,000 people have been displaced by both combined. In total, at least 751 homes have been destroyed. It was the Valley fire that caused one death - Barbara McWilliams, a 72 year-old woman with multiple sclerosis who couldn't get out of her home, according to fire officials. The Valley fire, located in Lake County, began on Sept. 12, while the Butte fire, in Jackson and Amador County, started Sept. 9. And these, while the largest and most fearsome, are only two of a dozen currently ripping through the Golden State. Workers fighting the fires hope that rain today might bring some relief. Though an end to the state's ongoing drought is not yet in the cards, the cool weather system could play a part in further containing some of the blazes. Veteran firefighter Bob Cummensky, part of the initial team that fought the Valley fire in Middletown, remarked, "It's such a beautiful area, and it's changed forever. This [town] is my best friend's home." Though he has fought fires for nearly five decades, he said he's never seen anything of this magnitude. The fire's expansion in every direction, and the challenging topography across which it has spread, have not made matters easier. 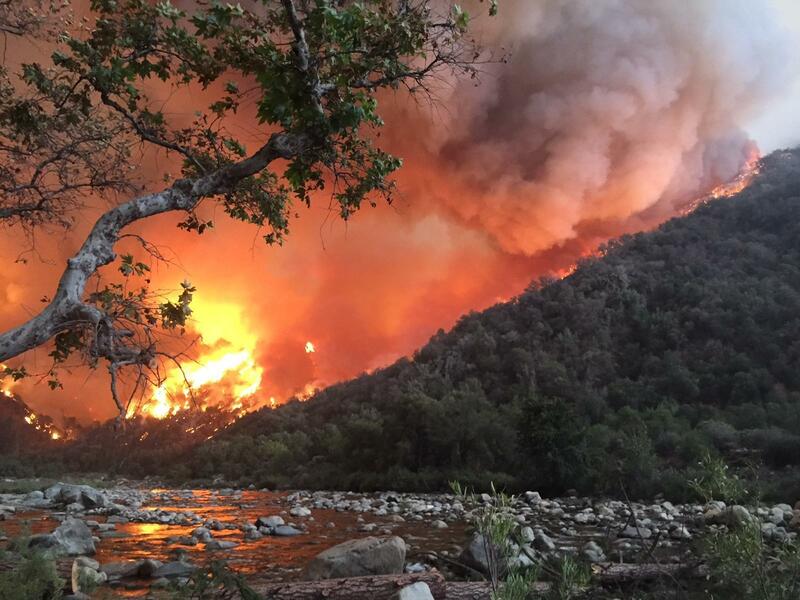 "It's a 100-year fire in a 100-year drought. It goes against everything I've ever learned about fire behavior." The fire is certainly abnormal; its smoke has even created a rare type of cloud called a pyrocumulus, which was photographed Sept. 11 by climate scientist Peter Gleick and tweeted as he flew past it at 30,000 feet. These clouds also create a new problem, because they can trigger firestorms, which may produce lightning that can, in turn, start another fire. It's an unpredictable situation that has kept officials on the defensive. "We've had wildfires in California since the beginning of time," said Mark Ghilarducci, director of the state Office of Emergency Services. "But what we're seeing now that's different is the extreme rapid spread of the fires, and extreme volatility." Middletown was amongst the hardest-hit areas in Lake County, with phrases like "completely devastated" and "everything's gone" reverberating throughout the community. And the fire, which has burned far more than just forest land, has a decidedly urban bent: an apartment complex with more than 100 units was reduced to ash; flames licked at power lines and melted street signs; and shells of burned out cars conjured up images of apocalyptic disaster films. California Gov. Jerry Brown once again tied the problem to climate change, stating, "There is no doubt that we need to de-carbonize our modern economy. We have sharpened what the debate is because there are vast amounts of officials who say it isn't true. This will smoke it out. Fires are not political. Climate change is not political. It is real. This is serious stuff. Firefighters need to be careful, but so do people. It's going to get worse." Specifically, however, the wildfires were exacerbated by the drought, which in turn was caused by the output of greenhouse gases that are contributing to global warming. The trees killed so far by the drought - of which there were at least 12 million - were more prone to ignite, and a heavy presence of bark beetles, which further decimate trees, helped make conditions that much worse. Scott Stephens, a fire science professor at UC Berkeley, said forests have also grown denser over the last 100 years, forcing trees to compete for increasingly limited amounts of water and rendering them more susceptible to bark beetle infestations. It also means that when a small fire starts, it spreads from one tree to another more quickly and rapidly spins out of control. "If this drought continues for another two years or longer, I expect this mortality to move throughout the state," he remarked. "Forests that once burned frequently with low to moderate intensity fires are the most susceptible." Joe Casola, deputy director of the University of Washington's Climate Impacts Group, explained that on the West Coast, this year's combination of warm winter weather, low snowpack, hot summer, and outbreak of relentless brushfires is "a good preview of what climate models tell us will soon be commonplace. These are the conditions we're likely to be facing several decades from now and going forward." As President Obama visits Arctic Alaska, the first president to do so, he is speaking about the many impacts that climate change is already causing there, from rising seas to melting permafrost collapsing homes. Because the arctic is heating faster than the rest of the planet, climate change is a bigger issue for Alaska, for residents of towns close to the water, for tribes dependent on traditional fishing for their livelihood, for rapidly melting glaciers. 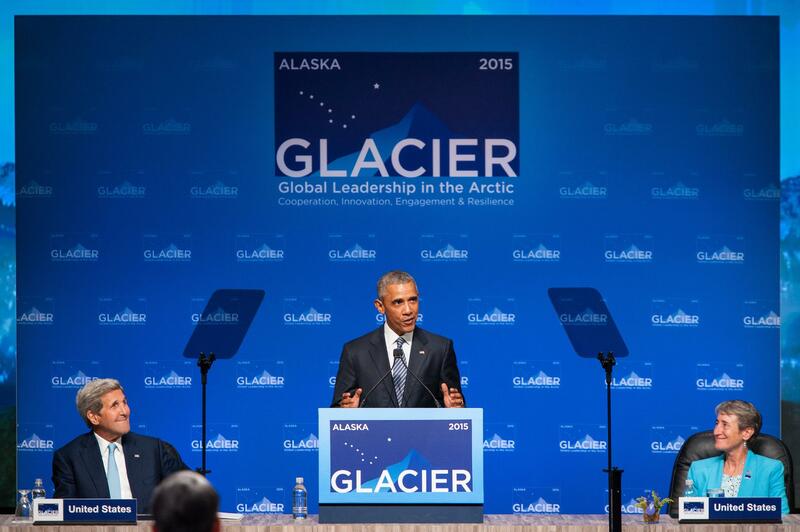 As part of his trip, Obama gave an opening address to the GLACIER Conference in Anchorage, Alaska. He stated that the U.S. recognizes its role in creating the problem and responsibility to take part in solving it. He noted that no nation is moving fast enough, and condemned leaders who gamble by taking no action on the dire future due to climate change are "not fit to lead." Obama faces severe criticism during the trip from environmental groups who accuse him of hypocrisy, since at the same time he is calling for action to address climate change, his administration has just given final permission to Shell Oil to drill in the Arctic. During his trip, native groups and allies rallied to demand no drilling in the Arctic. The record of the Obama administration on environmental issues, while mixed, stands in contrast to the previous, George W. Bush administration. Obama's positive steps include major support for developing renewable energy in the stimulus bill, efforts by the EPA to regulate new and existing power plant carbon emissions, increased mileage standards for cars and trucks, the agreement with China on projected reductions in emissions, and many more. Negative actions include support for major increases in fracking, in offshore oil drilling, and refusing to kill the Keystone XL pipeline (which has also not been approved). The administration faces opposition from the right, in Congress and elsewhere, for the plan of the EPA to regulate carbon emissions as pollution harmful to human health. Republicans in Congress continue efforts to defund the EPA, to force approval of the Keystone XL pipeline, to undercut any climate agreements, to deny the basic science of climate change, and more. Obama's current tour is part of the run-up to UN-sponsored climate negotiations to take place in December in Paris. The agreement signed between the US and China on carbon reductions has increased expectations that this conference will have more concrete results than many previous UN conferences on climate. In addition to these government-to-government negotiations, there is a growing movement to divest from fossil fuel corporations, which just had a big victory in California. A growing factor on the world stage is the efforts of Pope Francis and other important religious leaders to add a moral dimension to how the issue is framed, and to bring their not inconsiderable political capital to bear on the negotiations. Each particular battle is but one part of the longer struggle to transform our energy economy, our economy as a whole, how things are produced, packaged, and distributed. The direction of these struggles is ultimately to challenge the system, but in the meantime, we need all the allies, temporary or partial though they are, to make changes right now. These current battles lay the basis for future, more basic victories. Obama has moved U.S. policy into the column of those tackling climate change, though in an uneven and partial way. But winning smaller victories now is key to winning more later. Islamic leaders from 20 countries yesterday called for rapid transition from a world economic order based on fossil fuel to one powered by renewable energy. 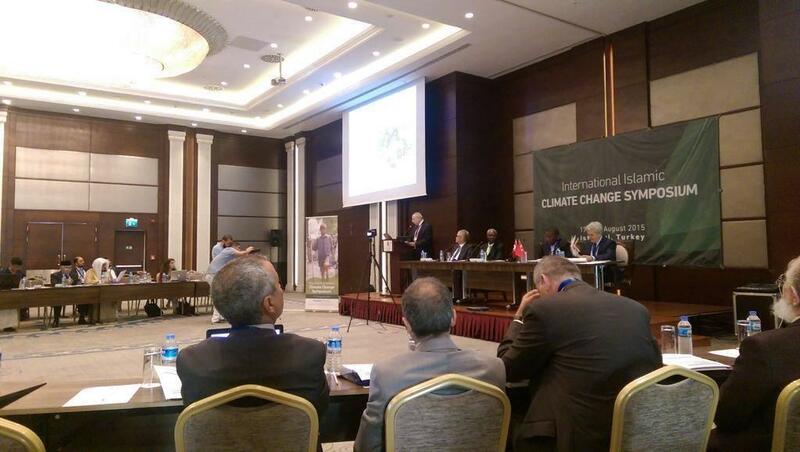 Wael Hmaidan, international director of Climate Action Network (CAN), described the declaration adopted by 60 prominent Islamic scholars and religious leaders at the two-day International Islamic Climate Change Symposium as a potential "game changer." "It challenges all world leaders, and especially oil producing nations," Hmaidan said, "to phase out their carbon emissions and supports the just transition to 100 percent renewable energy as a necessity to tackle climate change, reduce poverty and deliver sustainable development," according to a CAN report. As part of a worldwide groundswell, the declaration urges governments to deliver a new international climate agreement in Paris this December that guarantees limiting global warming above pre-industrial levels to 2, but preferably 1.5, degrees Celsius. The declaration makes the moral case, based on Islamic teachings, for the 1.6 billion Muslims and people of all faiths worldwide to take urgent climate action. The declaration is in sync with the much lauded Encyclical by Pope Francis released two months ago. For its part, the Vatican has enthusiastically endorsed the Islamic declaration. "The climate crisis needs to be tackled through collaborative efforts, so let's work together for a better world for our children, and our children's children," declared Din Syamsuddin, chairman of the Indonesian Council of Ulema. Speakers at the Symposium included three senior UN officials, scientists, NGO leaders and academics. Also attending were religious leaders from many other faith traditions. Pope Francis' activism, especially since the release of his Encyclical in June, has energized people of faith who have long advocated for the environment. Since June, the World Council of Churches, Unitarian Universalists, Union Seminary, and the Episcopal Church have all divested from fossil fuels. As of Aug. 13, 403 rabbis had signed a Rabbinic Letter on the Climate Crisis, calling for vigorous action to prevent worsening climate disruption and to seek eco-social justice. In a related action, in July more than 180 evangelical Christian leaders signed a letter backing President Barack Obama's plan to reduce carbon emission from power plants. The Climate Change Symposium Declaration urged "well-off nations" and oil producing states to "re-focus their concerns from unethical profit from the environment, to that of preserving it and elevating the condition of the world's poor." "To shoulder the consequences of their profit-making activities, and take a visibly more active role in reducing their carbon footprint and other forms of impact upon the natural environment; "Change from the current business model which is based on an unsustainable escalating economy, and to adopt a circular economy that is wholly sustainable; "Assist in the divestment from the fossil fuel driven economy and the scaling up of renewable energy and other ecological alternatives." After Shell proved, through blunders and its infamous reputation, that it is not fit to drill in the Arctic, Aug. 17 brought news that the Obama administration had granted them approval to do just that. The troubling development came just days after President Obama announced he would visit Alaska to discuss the impact of climate change on the region. Now, as the oil corporation further destroys the already-disrupted Arctic sea ice, the problem of global warming can only grow worse. The move is especially bewildering for many, as the president has declared Alaska to be "the frontlines of our fight against climate change." For a place of such importance, it hardly seems like an opportune time for the administration to greenlight a venture that will wreak environmental havoc, but that is what has come to pass. Even so, the approval has not gone unnoticed by activists. Friends of the Earth climate campaigner Marissa Knodel said, "When Obama visits the Arctic this month, he must face the communities he is sacrificing to Shell's profits." Greenpeace executive director Annie Leonard added, "The president cannot have it both ways. Announcing a tour of Alaska to highlight climate change days before giving Shell the final approval to drill is deeply hypocritical." In an official report, however, Greenpeace seemed to suggest that the brunt of the blame does not lie with Obama, but rather, with the greed-driven company that seeks to ravage the Arctic. They noted that the president "has used his executive power to show climate leadership before. Earlier this year, he vetoed the Keystone XL pipeline in response to a nationwide public outcry, demanding the U.S. no longer champion policies and projects that accelerate climate change. "The world is watching Shell right now. [They have] a history of ineffective equipment. In 2012, one of Shell's Arctic rigs ran aground and became stuck in Dutch Harbor. The technology does not exist to effectively clean up an oil spill in the icy and unpredictable waters. This is a disaster waiting to happen." The imbalanced and contradictory approach the Obama administration seems to be taking in regard to environmental matters is confusing. That has grown more so with today's news that the EPA, which was responsible for the recent mishap resulting in a large mine waste spill, has proposed new regulations aimed at cutting methane emissions by 40 to 45 percent (from 2012 levels) over the next ten years. The rules would apply to new or modified sources of oil and natural gas and require energy companies to find and fix leaks and take careful steps to limit emissions. And yet, experts seem to point out that this is not quite cause for celebration. Up in the Arctic, when Shell starts breaking up ice in its exploration for oil, more methane will be released into the atmosphere - enough, perhaps, to render the curbing of emissions from other manmade activities a moot point. Merritt Turetsky, a biology professor at the University of Guelph, Ontario, remarked, "Permafrost carbon feedback is one of the important and likely consequences of climate change, and it is certain to trigger additional warming. Even if we ceased all human emissions, ice would continue to thaw and release carbon into the atmosphere." Sierra Club executive director Michael Brune said, "Granting Shell the permit to drill in the Arctic was the wrong decision, and the fight is far from over. The people will continue to call on President Obama to protect the Arctic and our environment." 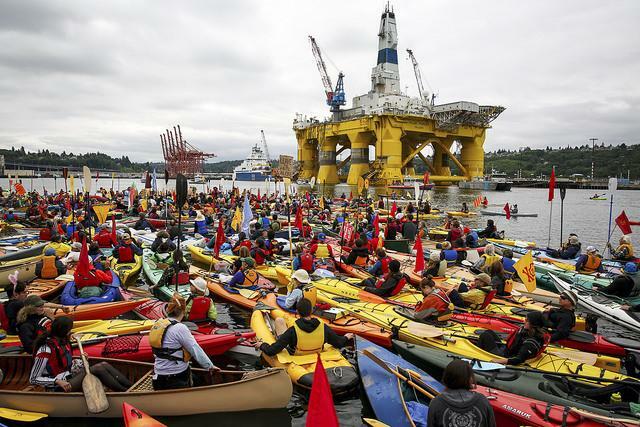 And the opposition to Shell's drilling is composed of more than just environmental activists. Hillary Clinton released a statement on the matter in the form of a tweet, saying, "The Arctic is a unique treasure. Given what we know, it's not worth the risk of drilling." Brune added, "She's exactly right. Everything we know about dangerous oil drilling in the Arctic indicates it imperils a national treasure and is guaranteed to make our climate crisis worse. Allowing Shell to use unproven technology in the Arctic is a recipe for disaster and toxic to any climate action legacy." The latest ecological disaster has left Colorado's Animas River a sickly orange and yellow, after an accident on Aug. 5 sent at least three million gallons of mine waste gushing into the water. The spewage came from the abandoned Gold King Mine, and occurred when an EPA mining safety team used equipment to - ironically enough - reduce pollution emanating from the disused site. Now the sludge is spreading, and it reached New Mexico on Aug. 10, flowing from the Animas into the San Juan River there, as officials struggled to gain control of the situation. The wastewater contains toxic heavy metals including lead, which can harm fetal development and cause vision impairment and kidney disease, and arsenic, which at high levels could cause paralysis, blindness, and cancer. The contamination was apparently the very thing EPA workers were attempting to treat before inadvertently unleashing it upon the environment. "The project was intended to pump and treat the water and reduce metals pollution flowing out of the [Gold King] Mine," EPA spokesman Rich Mylott confirmed. There has been no drinking water contamination, because utilities shut down their intake valves in time to prevent the plume from reaching their systems. Farmers also closed the gates on their irrigation ditches to preserve their crops. But the same could not be said for the wildlife that will surely be adversely affected, including local fish; the EPA has warned boaters and anglers to stay far away from the water for this reason. Meanwhile, New Mexico health officials were outraged that the EPA did not tell them about the plume until a day after it reached the cities of Aztec and Bloomfield, causing a last-minute scramble to cut off the river's access to water treatment plants in those areas. As it is, the EPA has released very little information, and virtually nothing in the way of updates, concerning New Mexico's share of the problem. "We're having a real problem getting the EPA to tell us what's in this stuff," said Don Cooper, emergency manager for San Juan County. "We're just kind of shooting in the dark and telling people to stay away from it." Though EPA officials are reportedly continuing to conduct tests to determine the health and environmental impacts of their mistake, nothing has yet been said about a cleanup. In fact, it would seem that experts are hoping for the situation to resolve itself; the agency's coordinator Craig Myers said, "It's hard to know what's going to happen [to the Animas River] as more river flows join it. It is diluting. The sludge of contaminants is going to be settling out in places." But for affected residents and concerned environmentalists, pollution, sadly, is more readily available than answers. What is apparent is that the EPA's initial estimate of the amount of spillage - one million gallons - has proven to be wrong, as the U.S. Geological Survey has clarified that the incident sent at least two million gallons more into the Animas. Kim Stevens, director of advocacy group Environment Colorado, remarked, "This is a really devastating spill. We've been hearing from rafting companies and other businesses that rely on the river that if they can't get their clients out on the river in the next couple of days, they may have to shut down their doors." And then, of course, there's the impact to the livelihoods of fishermen to consider. She added, "The fish population is especially very sensitive to water contamination, and we really won't be able to see what the impacts are until all of the pollution has run its course. Time will tell." The poisoned water also runs through sensitive indigenous peoples' territory, and the Navajo Nation people have said they will not stand for the toxification of their land. Nation president Russell Begaye stated, "They're not going to get away with this. The EPA was right in the middle of the disaster and we intend to make sure the Navajo Nation recovers every dollar it spends cleaning up this mess and every dollar it loses as a result of injuries to our precious natural resources." And things are only going to get worse, at least in the short term, because the next stop on the mine waste's tainted tour is Utah. The orange and yellow wastewater is still wending its way through the San Juan River, which eventually joins Lake Powell over in the Beehive State. Officials in the adjacent town of Montezuma are making preparations by shutting off water pumps there, and the same is being done in the neighboring town of Aneth. Trouble, of a most toxic variety, is most certainly brewing. "There are people who want to know, 'Okay, what's going to happen now? Are you going to fix this?' " said Michele Truby-Tillen, a spokesperson for New Mexico's San Juan County Office of Emergency Management. And above all, she said, as health concerns worsen, one question nags at the backs of people's minds: "How are we going to protect our families?"